The first site of note I passed was a disused airfield at Harrington. Originally build by the US Army during World War 2 it later became a launch site for Thor nuclear missiles during the late 1950s. Not a lot remains but the foundations of the launch pads can still be seen and the course of the runway is just about discernible. After leaving Harrington my route left roads and joined up with the Brampton Valley Way. This is a disused railway between Northampton and Market Harborough. The main reason for this was to go through the Kelmarsh and Oxendon tunnels. Both tunnels are several hundred meters long and entirely unlit other than light coming through an air shaft part of the way along. Although you can always see both ends its strange to experience such total darkness. 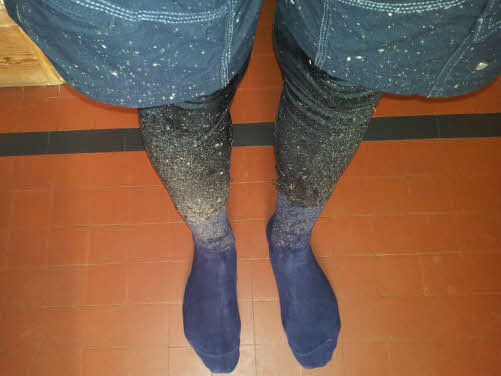 My city bike lights were unable to pick out the sides or roof and, combined with a very uneven floor, made walking (I gave up riding after about 10m) surprisingly hard (and regularly surprising, particularly where it was wet). 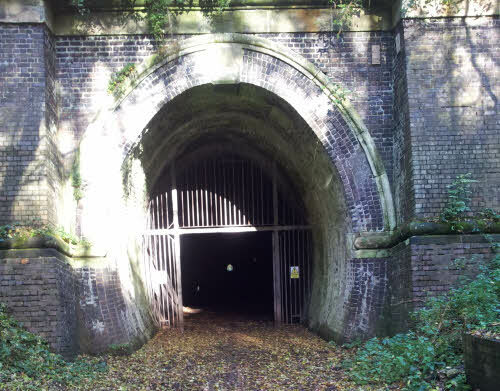 After the tunnels I continued along the old railway to Market Harborough. Compared to the old railway routes around Newcastle this was surprising quiet and very rough, a fact that took its toll on my bike although I didn’t realise until later. After a quick scoot around the edge of Market Harborough it was back on the rural roads towards Clipston. A small village, Clipston is situated in the middle of the area in which the Battle of Naseby was fought. On 14th June 1645 the New Model Army fought and defeated the army of King Charles I in a decisive battle of the Civil War. There’s not a lot to see now but there are two viewing points, Rupert’s View and, on the other side of Clipston Fairfax’s View. These refer to the views of the Royalist and Parliamentary forces respectively. If you ignore the A14 it’s just a decent view of some fields now but there are some information boards explaining what happened. After a brief stop to try and find the bolt that had dropped off my bike and a bit of emergency maintenance (thanks railway bumps) I went on to the village of Naseby. It was a cold morning and my attention was caught by a sign advertising a WI soup morning. It wasn’t clear if it was soup for members of the WI or the WI making soup for cold passers-by but I decided to apply rule 5 and carry on. Leaving Naseby behind and, after a small detour relating to not reading the map, I went through the grounds at Cottesbrooke Park, the last historical location on the route. Thought by some to have been the inspiration behind Jane Austin’s Mansfield Park the estate, more importantly, also has almost perfectly flat, perfectly surfaced roads which were very welcome. Leaving Cottesbrook behind, and forgetting the earlier segment along the railway led to bits dropping off my bike, I joined the Brampton Valley way again heading past Brixworth and then up a track to Pitsford Water. 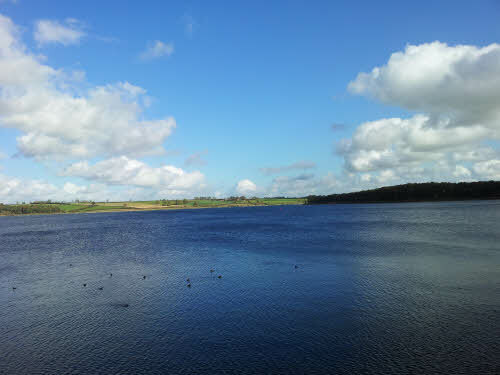 Tiny compared to reservoirs likes of Kielder or Rutland, Pitsford none the less provides some good views, peace and quiet, and a handy track in the direction of my destination of Overstone, a few kilometres away. Once back it was a case of scraping off the mud, warming up and reflecting on how one short journey can encompass quite a lot of history if you look out for it.